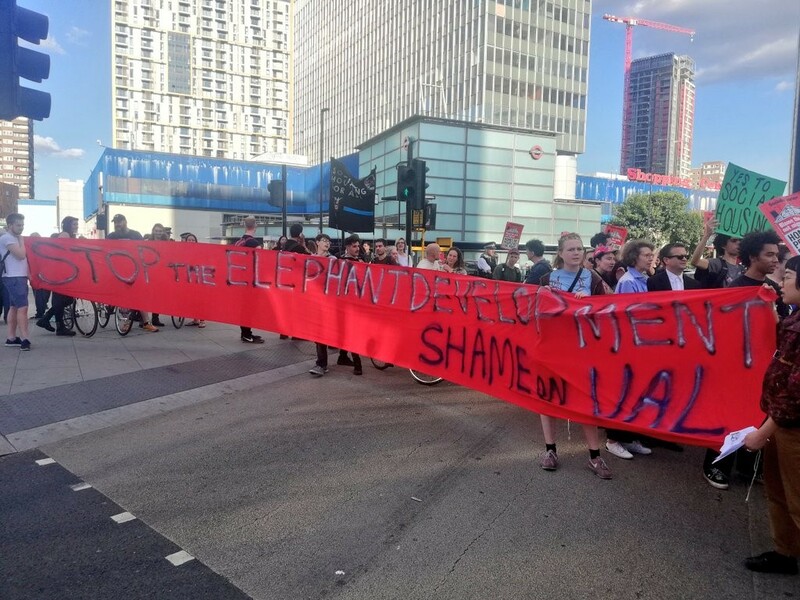 Elephant shopping centre owner and developer Delancey will be hoping it is third time lucky when Southwark’s planning committee considers their application for redeveloping the centre on 3 July. The committee chose not approve the application at two meetings in January and the decision was further deferred because of local elections in May. Delancey’s initial failure, though, was the result of a concerted campaign which united shopping centre traders, the local Latin American community, staff and students from the London College of Communication, local housing campaigners and local councillors. There were over 900 objections. The Palaces bingo hall and bowling alley in the shopping centre are major attractions in the area. These improvements are valuable for some, but for most traders it is all too little, too late. Local charity Latin Elephant reckons there are 150 migrant and ethnic businesses at the Elephant. The Elephant and Castle Traders Asssociation counts traders from 16 different countries, stretching from Bolivia to Turkey to Bangladesh and Ghana. They have been informed that they will have to leave the centre by March 2019 (regardless of the outcome of the planning application) and there is little doubt that Delancey’s proposals will not accommodate them all. The improved housing offer comes at a cost too, but not for Delancey. While there will be more social rented homes, it is at the expense of London Living Rent units, much favoured by Mayor Sadiq Khan as the best tenure for households with middle incomes up to £60k per annum; these have been reduced from 158 in the original proposal to 53 units in the latest offer. At the same time the affordable rent units at 80% market rent have increased in number from 59 to 161. Delancey have reconfigured the offer (as noted by Southwark’s viability advisors GVA) and still stand to make £137m profit, according to their latest Development Appraisal. Delancey is also seeking funding from the GLA to build its affordable housing (£60k per social rented unit) which it will then sell to Southwark Council for an estimated £26.7m (£230k per unit). Despite all this the affordable housing offer is still does not meet the requirements of the adopted local plan; there would have to be at least 170 social rented units, amongst other things, for this to happen. Delancey instead hopes to get the advantage of new policy that is in pipeline, so called emerging policy, which requires less social rented housing and favours the Build for Rent type scheme Delancey is proposing, rather than the traditional Build for Sale scheme. All in all then, while the application is an improvement on what was dreadful, there is still a way to go before it is fit for approval. The planning committee must hold firm and reject the application.